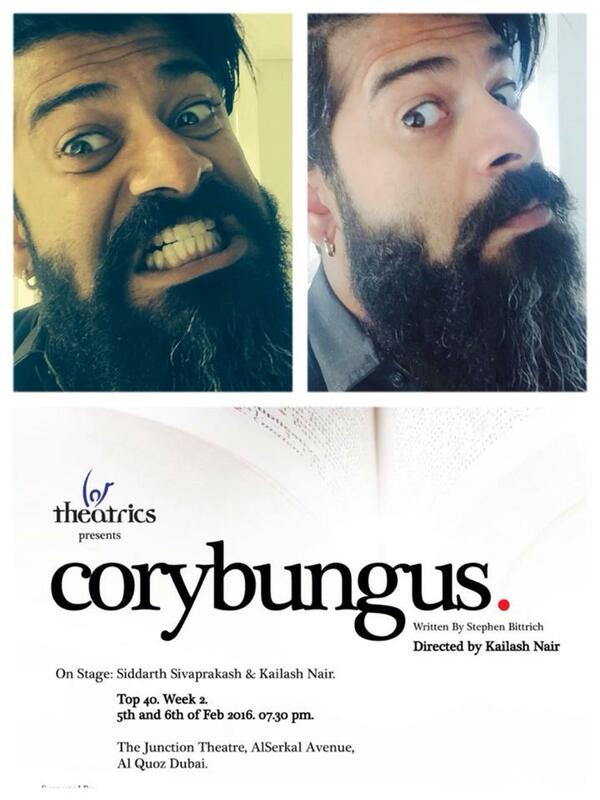 My comic ten-minute play, Corybungus, was chosen for one of the “Audience Favorite Awards” in the Short and Sweet Theater Festival in Dubai. Yes, in the United Arab Emirates across the globe. Very cool. Poster below. If you need a short play for your high school, college (university) or short play festival, this one is a fun time reminiscent of Monty Python sketches.